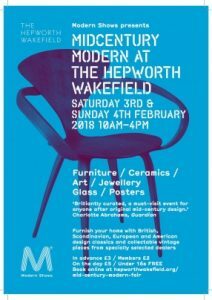 Really looking forward to the first weekend fair by Modern Shows at the fabulous venue -The Hepworth, Wakefield on the 3rd & 4th February. This fair will be held in ‘The Calder’ a converted mill on the museums site. The traders coming will bring an eclectic and fabulous mix of Midcentury gorgeousness and stunning design, from Furniture to film posters, lighting to ceramics and more. 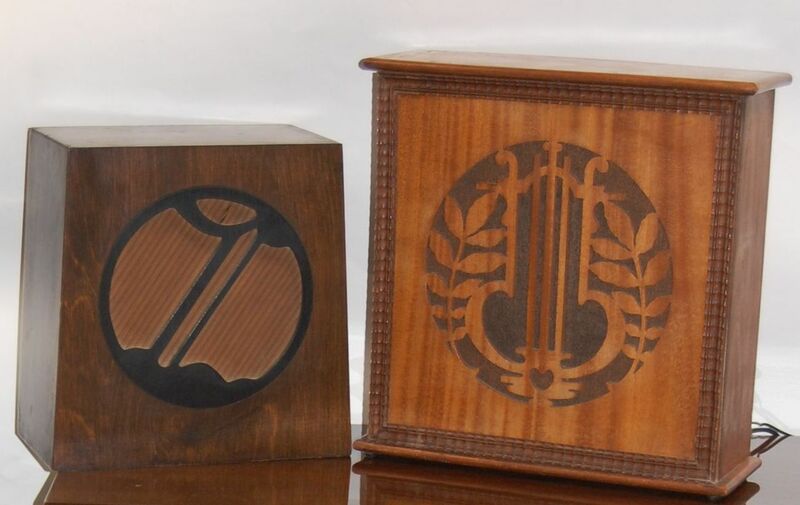 We will be bringing a selection of our vintage technology including our Bluetooth & MP3 speakers, record players, vintage telephones and lights plus some cool Midcentury pieces of furniture, glass and ceramics. Our speciality – the Bluetooth and MP3 devices are vintage speakers and radios which have been rescued from the scrapheap and brought back to live to sing again once more. Where possible we retain as much of the original piece as possible, just add to their life. We are out and about all over the country in the the coming months. First up we are returning to The London Irish Centre for the Camden Furniture Flea on the 12th Feb.
Then there is a little respite before March madness kicks in. We are attending 3 shows in March – our oldest and most favourite Furniture Flea in York Hall Bethnal Green on the 5th, swiftly followed by a trip up to sunny Leeds on 12th for our first foray to the north this year. This new home for the flea is in the impressive Castle Grove Masonic Hall – a great airy venue with lots of on site parking. Then to round up March we are at Dulwich College, for Midcentury Modern on the 19th. 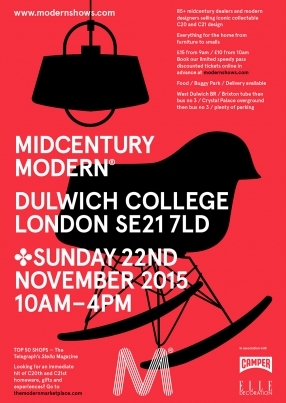 Brought to you by Modern Shows this event is a must for all Midcentury aficionados and design lovers.